A common question for organizations working in integration is what’s next? Organizations often want to know where they rank in their integration efforts and what the next steps are to expand integration. Whether you’re just starting out or well on your way, valuable tools are available to help you assess your organization’s readiness, capacity, and resources for integrated healthcare. Come learn about the tools and decide which one you’ll implement when you get back home! Relias, LLC is accredited as a provider of continuing nursing education by the American Nurses Credentialing Center’s Commission on Accreditation. Nurses will receive 1.00 contact hours for participating in this course. Relias, LLC, #1273, is approved as a provider for social work continuing education by the Association of Social Work Boards (ASWB) www.aswb.org, through the Approved Continuing Education (ACE) program. Relias, LLC maintains responsibility for the program. ASWB Approval Period: 2/10/2018-2/10/2021. Social workers should contact their regulatory board to determine course approval for continuing education credits. Course Delivery Format: Asynchronous Distance Learning-interaction includes quizzes with questions and answers, posttests. This module is Video. Social workers participating in this course will receive 1.00 Clinical continuing education clock hours. Provider approved by the California Board of Registered Nursing, CEP# 13791 Nurses will receive 1.00 contact hours for participating in this course. DC-RN -- District of Columbia Board of Nursing Approved Continuing Education program (CE Provider #50-290). Nurses will receive 1.00 contact hours for participating in this course. Florida Board of Nursing CE Provider #: 50-290 Nurses will receive 1.00 contact hours for participating in this course. Georgia Board of Nursing CE Provider #: 50-290 Nurses will receive 1.00 contact hours for participating in this course. Relias, LLC is recognized by the New York State Education Department's State Board for Social Work as an approved provider of continuing education for licensed social workers #SW-0009. Materials that are included in this course may include interventions and modalities that are beyond the authorized practice of licensed master social work and licensed clinical social work in New York. As a licensed professional, you are responsible for reviewing the scope of practice, including activities that are defined in law as beyond the boundaries of practice for an LMSW and LCSW. A licensee who practices beyond the authorized scope of practice could be charged with unprofessional conduct under the Education Law and Regents Rules. As a provider of online, asynchronous education, some courses offered by Relias Learning are considered “self-study” under section 74.10(c)(2)(ii)(b)(4) of the Commissioner’s Regulations. The regulations limit self-study activities taken from a provider approved by the Education Department to no more than 12 hours in the 36-month registration period or one-third of the hours in a registration period other than 36 months. Social workers will receive 1.00 continuing education hours for participating in this course. This activity is approved for 1.00 contact hours. Relias, LLC, is recognized by New York State Education Department's State Board for Mental Health Practitioners as an approved provider of continuing education for Licensed Marriage and Family Therapists. #MFT-0009 As a provider of online, asynchronous education, some courses offered by Relias are considered "self-study". The regulations limit self-study activities taken from a provider approved by the Education Department to no more than 12 hours in the 36-month registration period or one-third of the hours in a registration period other than 36 months. This activity is approved for 1.00 contact hours. Relias, LLC, is recognized by New York State Education Department's State Board for Mental Health Practitioners as an approved provider of continuing education for licensed mental health counselors. 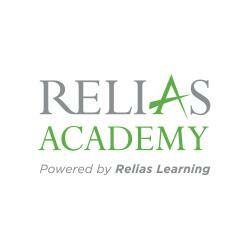 #MHC-0011 As a provider of online, asynchronous education, some courses offered by Relias, LLC are considered "self-study". The regulations limit self-study activities taken from a provider approved by the Education Department to no more than 12 hours in the 36-month registration period or one-third of the hours in a registration period other than 36 months. This activity is approved for 1.00 contact hours. Provider # RTX050401 290 This activity is approved for 1.00 contact hours. Provider # RCX100502 290 This activity is approved for 1.00 contact hours. From an organizational level, examine where you rank in your integration efforts. Discuss next steps are to expand integration at the organizational and staff level. Assess your organizations readiness, capacity, and resources for integrated healthcare. Dr. Jeff Capobianco has over 20 years of clinical, administrative, and healthcare research experience. He also has an extensive background in primary and behavioral healthcare integration, evidence-based practice implementation, Lean Six Sigma methodologies, and learning community approaches to organizational change and practice improvement. Prior to joining the National Council for Behavioral Healthcare, where he is a Senior Consultant and Director of Practice Improvement for the Center for Integrated Health Solutions, he held positions as a Research Investigator at the University of Michigan School of Social Work and as the Director of Research and New Program Development for the Washtenaw Community Health Organization(WHCO). While at the WCHO, he oversaw the integration of seven primary and behavioral health clinics. Dr. Capobianco has published in national journals including Social Work in Healthcare, Journal of Evidence-based Social Work, Administration and Policy in Mental Health, and Family, Systems, & Health. He is the author of two books and is currently an institutional review board member for the National Research Institute, Inc., a journal review member of the Journal of Behavioral Health Services & Research, and a member of the advisory council for Centerstone Research Institute Knowledge Network. A limited licensed psychologist in the State of Michigan, he received a Bachelor degree double majoring in Philosophy and Psychology, and a Master’s degree in Clinical Psychology from Saint Michael's College. He completed a Doctor of Philosophy Degree at Wayne State University in Education Evaluation and Research, with a concentration in quantitative research methods. Disclosure: Jeff Capobianco, PhD, LLP has declared that no conflict of interest, Relevant Financial Relationship or Relevant Non-Financial Relationship exists. Andrea Auxier is the National Director of Integration for Beacon Health Options, the world’s largest specialty mental health company. Dr. Auxier is a licensed clinical psychologist with expertise in behavioral health integration, patient centered medical homes, and integrated data analytics. She holds a B.A. from Cornell University, an M.A. from New York University, and an M.A. and Ph.D. from the University of Massachusetts Boston. She completed her postgraduate work at the University of Miami Miller School of Medicine, Department of Psychiatry and Behavioral Sciences. As a native Spanish speaker, she has worked primarily with underserved, multicultural populations, with a focus on those affected by posttraumatic stress. Much of Dr. Auxier’s work has focused on Federally Qualified Health Centers (FQHCs). She is the former Director of Research for the Colorado Community Managed Care Network, the Health Center Controlled Network for Colorado’s FQHCs. As a clinical consultant for Management Solutions Consulting Group, Inc., she has conducted nearly 30 HRSA Bureau of Primary Health Care operational site visits at health centers nationwide. She is also a senior clinical instructor at the University of Colorado Denver, Department of Family Medicine, an adjunct faculty member at the University of Denver, and an associate editor for the Journal of Translational Behavioral Medicine. She has several publications on integrated care and has lectured on the topic in various forums throughout the country. Disclosure: Andrea Auxier, PhD has declared that no conflict of interest, Relevant Financial Relationship or Relevant Non-Financial Relationship exists. Jeanette Waxmonsky is the Director of Behavioral Health Innovation and Research for Colorado Access, a nonprofit health plan that provides access to behavioral and physical health services for Coloradans. Dr. Waxmonsky is also an Associate Professor at the University of Colorado School of Medicine, Departments of Psychiatry and Family Medicine, Director of Community Mental Health Integration at the University of Colorado Depression Center, and a licensed clinical psychologist. She is an expert on behavioral health – primary care integration and implementation methodologies with over 14 years’ experience. Her clinical and research work focuses on the development and implementation of evidenced based behavioral health interventions and integrated care models for persons with psychiatric illness and medical comorbidities. Dr. Waxmonsky received her B.A. from Lafayette College, M.A. from the University of Colorado, and Ph.D. in Clinical Psychology from the University of Alabama. She completed a postdoctoral fellowship in Administration and Public Policy Psychology at the University of Colorado School of Medicine. In her current role as the Director of Behavioral Health Innovation and Research, Dr. Waxmonsky develops and leads primary care and behavioral health integration efforts both within the Colorado Access and with partnering federally qualified health centers and community behavioral health centers. Through her work at both the University of Colorado and Colorado Access, she has had a lead role in securing over $7 million in grant funding to support integrated care programs and evidence based treatment interventions for medically underserved and minority populations. Disclosure: Jeanette Waxmonsky, PhD has declared that no conflict of interest, Relevant Financial Relationship or Relevant Non-Financial Relationship exists. The target audience for this course is: entry and intermediate level Marriage and Family Therapists; entry and intermediate level Professional Counselors; entry and intermediate level Social Workers; entry level Nurses; in the following settings: Health and Human Services.